Enjoy the top 8 famous quotes, sayings and quotations by Alessandra Torresani. I was a very special child. I did stand-up comedy. I did it all. My family didn't understand. 'Aren't you tired?' I'm like, 'No.' I'm like an insomniac, I hardly sleep, I'm always on the move. Want to see more pictures of Alessandra Torresani quotes? 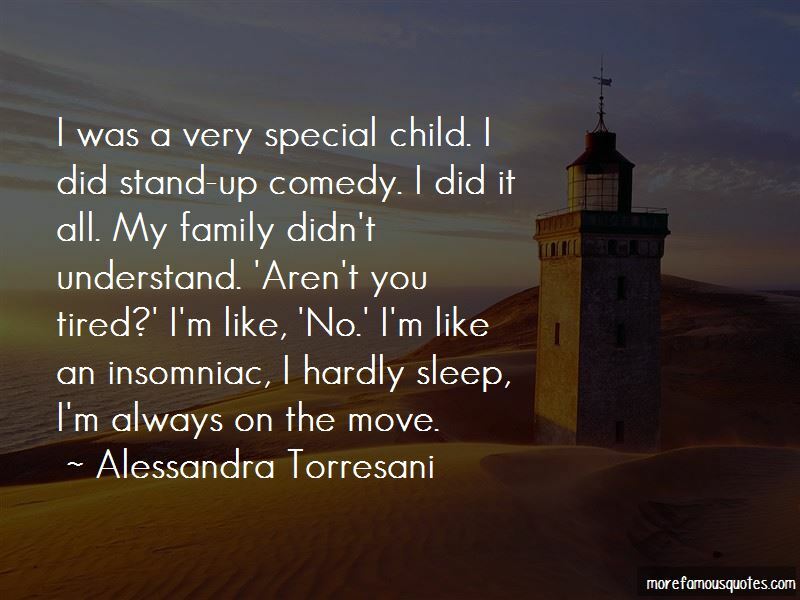 Click on image of Alessandra Torresani quotes to view full size.